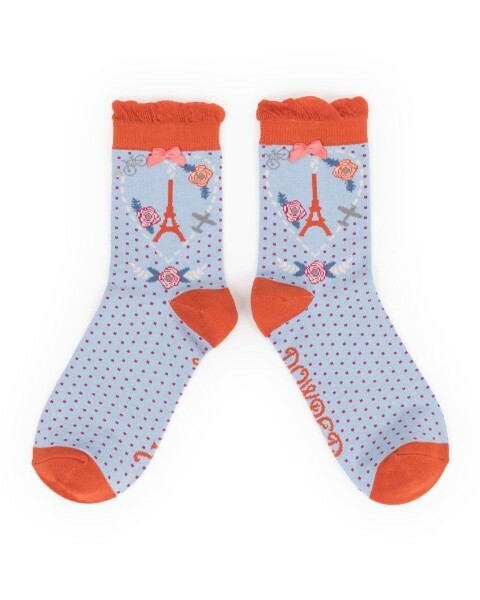 Product information "Powder Design Parisian Scene Socks"
Powder Design Parisian Scene Ankle Socks made from super soft bamboo in burnt orange and pale blue. Machine washable. One Size. Comes to you with a pretty complimentary gift bag. Related links to "Powder Design Parisian Scene Socks"
Customer feedback for "Powder Design Parisian Scene Socks"